Our goal is to help you move better by increasing strength, reducing pain and stiffness, and training your body to work as one. What is mobility? The ability to move or be moved freely and easily. Mobility is much more than just being able to touch your toes. Mobility is the ability to get into your vehicle with ease, put your shoes on without a shoe horn or put your socks on without sitting down. 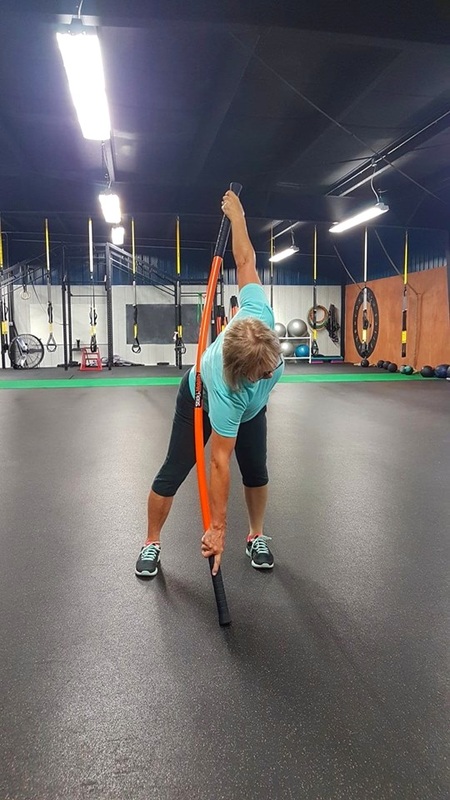 Stick Mobility uses elite sticks to improve your range of motion, flexibility, balance, strength. The movements target the major joints, hips, shoulders and spine. Improvements in pain have been felt after only 1 session!